I watched an excellent documentary on BBC Four television recently about Ada Lovelace (or Augusta Ada King, Countess of Lovelace to give her her proper name). The title of the documentary was Calculating Ada: The Countess of Computing. Presented by mathematician Dr Hannah Fry of University College London, it chronicled Ada’s involvement with mechanical computing pioneer Charles Babbage, and the role she played in promoting Babbage’s Analytical Engine design through her now famous ‘Notes’ of 1843. By treading a fine line between journalistic hyperbole and factual accuracy, aided and abetted by the subject’s fascinating background and turbulent life story, the documentary explained the historical significance of Ada Lovelace’s Notes in a way that appealed to both the casual viewer and those with a keen interest in the history of technology. It was also good to see some of Babbage’s hardware in action and to hear interviews with some genuine experts in the mechanical computing field, such as Doron Swade, who masterminded the construction of the full-scale replica of Babbage’s Difference Engine No. 2. 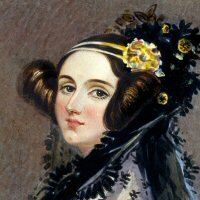 This entry was posted in Uncategorized and tagged Ada Lovelace, Charles Babbage on 28/09/2015 by Stephen J Marshall.